Lucille J Smith, 92 died in Tucson, Arizona, November 20th, 2018 from severe complications of a stroke. Lucy was born in Keokuk, Iowa on June 24th, 1926. She graduated from John Marshal High School in Rochester New York. She received a BS in chemistry from the University of Iowa in 1947. There she met the love of her life, Robert L. Smith. Lucy and Bob were married on Labor Day in 1947. They had two daughters, Dr. Barbara Smith (Craig Gordon) and Dr. Deborah Smith-Wright (David Wright) and five grandchildren, Shelley Gordon, Lisa Gordon (Colin Kikuchi), Hannah Wright Calhoon, (Clay Calhoon), Patrick Wright (Raisa Okase), and Evan Wright, and three great-grandchildren. Bob and Lucy moved to Lawrence Kansas in 1947 where Bob accepted his first job at the University of Kansas in the School of Engineering. Lucy and Bob would move to Des Moines Iowa and Topeka Kansas before returning to Lawrence Kansas in 1962. Bob had a distinguished career at the KU in the Department of Civil Engineering. Lucy had a distinguished volunteer career in the community of Lawrence. She was active in multiple organizations including Girl Scouts, Lawrence Schools (Sunset Hills Elementary, West Junior High, Lawrence High School), Lawrence Memorial Hospital, Lawrence Blood Bank, Lawrence Public Library, Art in the Park, Douglas County Science Fair, Lawrence League of Women Voters, University of Kansas (University Women’s Club, Docent University of Kansas Art Museum, Chi Omega Sorority, School of Engineering). 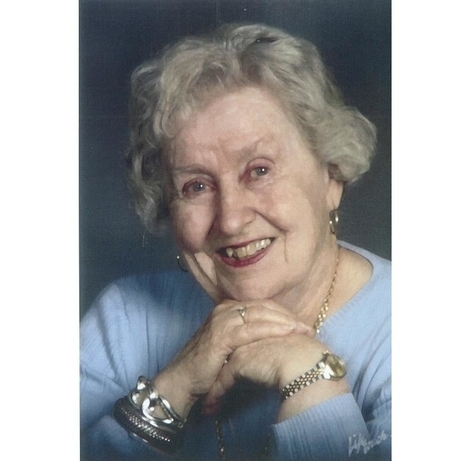 She was an active member of PEO (FZ) and a nearly seventy-year member of Plymouth Congregational Church where she taught Sunday school, served on multiple committees and boards. Bob and Lucy traveled extensively but were always most happy to travel to northern Minnesota. In 1978 Bob designed and they built a cabin in the Park Rapids Minnesota area where they enjoyed entertaining family and friends for many summers. Grandchildren have fond memories of fishing, boating, sailing, canoeing, paddle boarding, cooking, sewing, and of course nightly card games. Lucy and Bob enjoyed participating in sports including baseball, (both were great pitchers), golf, bridge, tennis, and bowling. They passed their love of sports to their children and grandchildren and they enjoyed watching their grandchildren play whenever they could. Lucy loved her Lawrence Community, KU Jayhawks, Iowa Hawkeyes, the color blue, and her canine companions (Cindy, Muffin, Sugar, Misty, Buffy, Kealy, and Amy). The family would like to thank the Lawrence community for the support and love she received for most of her adult life and the Starfish Carehome in Tucson, Arizona where she received such warm and tender care during her last few weeks. Memorials can be sent to KU Endowment, specify the Robert L. and Lucille J. Smith scholarship fund, the Lawrence Humane Society, or the Plymouth Congregational Church. Services will be held in the Spring of 2019. A notification will follow.